When it comes to finding the best oil for used cars in Lacey, WA., there are a few primary choices: conventional motor oil, synthetic motor oil, and synthetic blend. 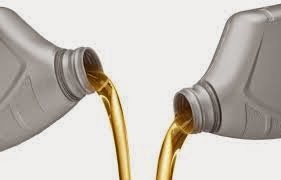 With the decreasing use of conventional motor oil, a growing number of people have question whether synthetic motor oil or blended synthetic is best. The following information explains the differences between the two which will help you understand which is best for your vehicle. Full-synthetic oil is man-made oil designed to bolster the main performance attributes of the oil. This process offers several improvements to the motor oil, such as extreme temperature performance, improved wear protection, and deposit control. In addition, synthetic oil creates an opportunity for lower viscosity grades of oil, (such as 0W-20), which are designed to bolster fuel economy. Semi-synthetic, part-synthetic, or synthetic blends are oils made up of synthetic base oil and conventional mineral oil. This oil is designed to offer some of the benefits of full synthetic oil at a significantly lower cost. In almost all cases, full synthetic motor oil is the best option. The primary reason is because of the superior all-weather functionality of synthetic oil. On the other hand, blends only offer this functionality partially. In addition, synthetic oil is designed to improve the overall performance of the engine. However, motor oil blends are only able to offer a piece of this improvement. Motor oil is the lifeline of your vehicle. As a result, it's important to understand the differences between synthetic motor oil and the blended synthetic oil. Most vehicle owners find that full synthetic motor oil works best for older used cars. For more information on synthetic and semi-synthetic oil, visit the helpful folks at the Olympia Auto Mall near Lacey, WA. They have excellent automotive service and will help you keep your car running smoothly.